Celebrate New Year’s Eve in Masquerade at the Albert Hall! 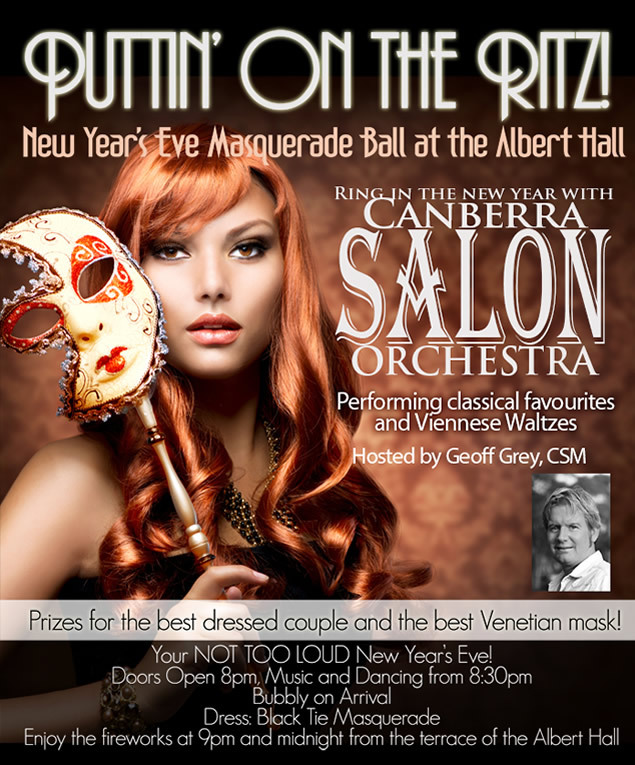 Ring in the New Year with Canberra Salon Orchestra. This event is sure to be a bit! Performing classical favourites and Viennese Waltzes. Prizes for the best dressed couple and the best Venetian Mask. Doors open at 8pm. Music and dancing from 8.30pm. When: 31st of December. Doors open at 8pm.